Thanos is dead, and Gamora may be the next to die! In Guardians of the Galaxy, the team was broken after Infinity Wars. Gamora briefly remade the universe with the Infinity Gauntlet. She lost her way, and Drax the Destroyer gave his life to undo her actions. However, Thanos had a contingency plan for his demise. As his final act, the Mad Titan made arrangements to have his mind placed in the body of another. Everyone believes Gamora is the top candidate to become the next Thanos. That’s why she’s suddenly become the galaxy’s most wanted fugitive. Now, there are two competing teams of Guardians racing to find Gamora. The first team is led by Groot, who has unseated Peter Quill as the Guardians’ captain. 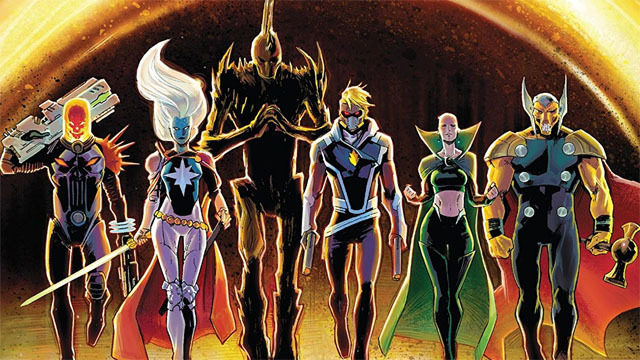 Beta Ray Bill, Phyla-Vell, and Moondragon make up the rest of the team. 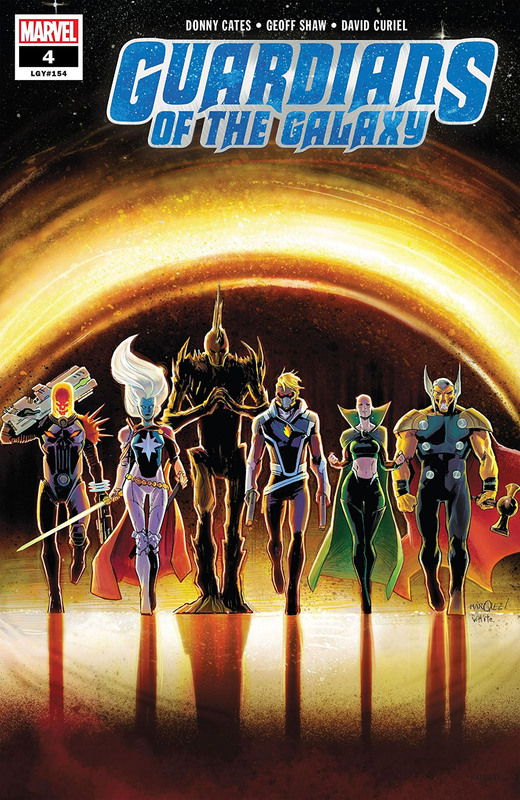 As for the Dark Guardians, Starfox, Nebula, Wraith, Gladiator, and Cosmic Ghost Rider are closing in on Gamora by tracking her ex-lover, Nova. In Superhero Hype’s exclusive preview for Guardians of the Galaxy #4, Donny Cates and artist Geoff Shaw finally catch up to Gamora. She’s been hiding out on Halfworld, the home planet of Rocket Raccoon. Unfortunately for the Guardians, Gamora didn’t want to be found. You can read the full exclusive preview in our gallery below. Guardians of the Galaxy #4 will hit comic book stores on Wednesday, April 17. What did you think about the preview? Let us know in the comment section below!